Penobscot River Rafting is one of the most spectacular and challenging experiences in the East. The Penobscot River has a reputation as a river of contrasts as it alternates between exhilarating rapids and breathtaking scenery. Rapids on the Penobscot River are short with sheer drops plunging into calm pools. The trip begins with the Ripogenus Gorge section. Here the river is its most turbulent, dropping over 70 feet per mile through a narrow, granite walled canyon into the Exterminator and Staircase rapids, both advanced Class V. The excitement continues as you travel another 14 miles through a series of steep drops and calmer stretches under the shadow of Mount Katahdin, Maine’s highest peak (5,267′). After Ripogenus Gorge, there are still plenty of Class IV rapids like Big Ambejackmockamus and Nesowadnehunk Falls, a sheer twelve-foot waterfall spanning the entire river. Other major rapids include Abol and Big Pockwockamus Falls. As you exit the steep gorge the river spreads out creating the opportunity for wildlife viewing. 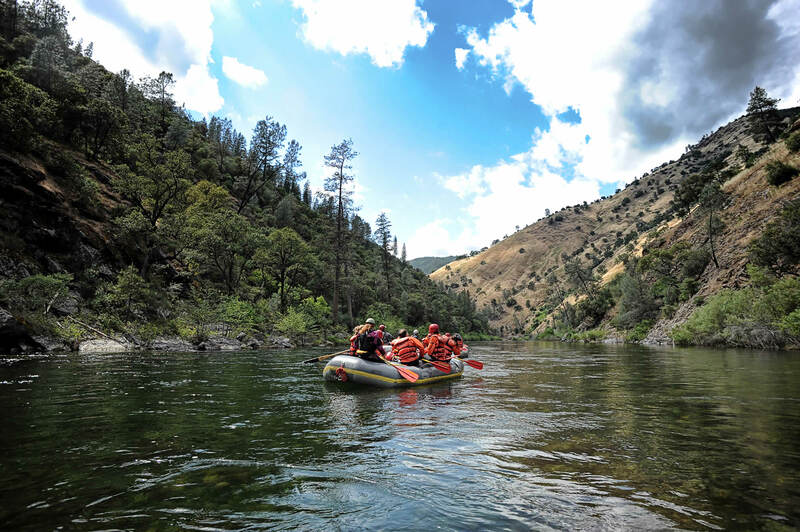 It is not uncommon to see deer, river otters and eagles if you are not too distracted by the whitewater. You may also find runs of Atlantic Salmon and native Sea Lampreys. 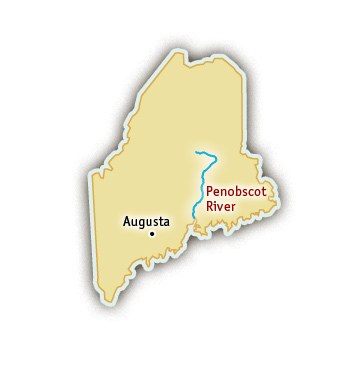 The challenging Penobscot River has water releases all summer long.